The noise from CES 2014 has finally subsided and I have a chance to catch my breath. There was enough new technology there to put any nerd into shock! 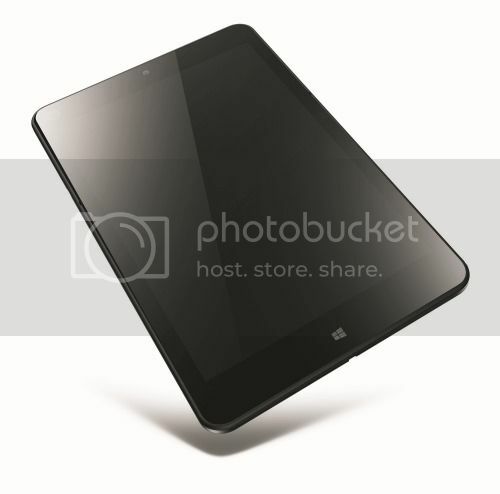 But one of the things that caught my attention was the newly announced Lenovo ThinkPad 8 tablet. Lenovo was among the many presenters at the conference and they didn’t disappoint (more on the other products to come). I often get asked by friends what’s a good tablet, and for many they just want one for playing games, running apps, checking email, etc. But I have some friends who are looking for one that will allow for both work and play. After getting to read up on the Lenovo ThinkPad 8, I think I now have another suggestion for them other than the Surface or iPad. This tablet is similar to Microsoft Surface in that it runs Windows 8 and comes with Microsoft Office; this is a HUGE benefit for those that want to be able to work on the go or be able to play a few games just to pass time. This tablet weighs less than 1 lb but it definitely packs a wallop! It touts a beautiful 8.3″ display with 1920×1200 pixels and HD IPS display. Not to mention that it has Micro USB 3.0, Micro SD, for storage expansion and transferring of files; and Micro HDMI port (This allows you to connect your tablet to HD displays and monitors for easy presenting) The release date and pricing for the tablet isn’t available yet, but I’ll let you know as soon as I know! Check out this hands on video courtesy of Tech Radar!